THE RAT PACK REVIVAL With Steve’s experience as a professional singer entertainer for past 30 years in all facets from cover, tribute shows, through to being an experienced songwriter, recording artist, promoting and touring all parts of Australia. 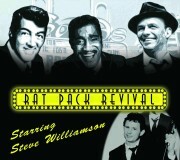 His RAT PACK REVIVAL SHOW, with the use of backing tracks, takes you on a more memorable journey performing the more classic songs but he also narrates thru his performance a brief history of their past lives, and some very funny quotes used by Frank, Dean and Sammy from their own lives performances. 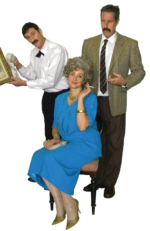 With all this in mind, whether you’ve been a die-hard fan for years or have just recently begun to appreciate songs and the talent of the RAT PACK…Steve will exceed all your expectations, adding a little style and class to any occasion.